You may have heard of “The Living Constitution” (i.e. the idea that the Constitution changes over time to meet our current needs), but have you ever heard of “The Living Magna Carta”? If not, check out this beautiful paper by R.H. Helmholz titled “The Myth of the Magna Carta Revisited,” published in the latest issue of the University of North Carolina Law Review: Vol. 94, No. 5 (2016), pp. 1475-1493. 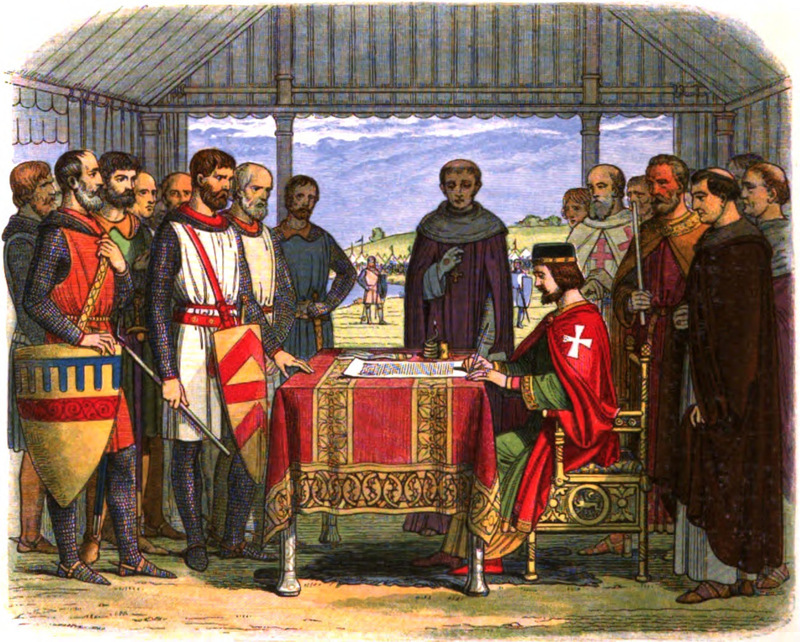 The paper explores how the meaning of the Magna Carta has evolved over time and how some of its substantive provisions were interpreted by the leading English jurists Sir Edward Coke (b.1552-d.1634) and Sir William Blackstone (b.1723-d.1780). Professor Helmholz concludes that Coke and Blackstone gave “expansive readings” to the Magna Carta by looking beyond the specific words used in the text of the Great Charter in order to discern its goals and purposes. More importantly, Professor Helmholz claims that this purposeful approach–i.e. asking, what is the purpose of the statute; what problem was it designed to solve?–was the most commonly used theory of statutory interpretation during the Middle Ages. Fine, but what happens when a statute has multiple purposes or goals? How do we decide which goal takes precedence over the others? Hey, King J! Sign here, or we’ll chop your head off!